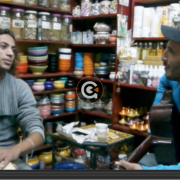 Josi and Marco have already visited quite a few of the KiteWorldWide destinations together – Tatajuba, Dakhla, Essaouira, Tarifa, and some of the former destinations as well. 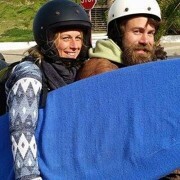 A few weeks ago, the two of them set out for something completely new and took part in the one-week catamaran cruise through the Canary Islands. It’s the middle of November, and they just boarded a plane from Hamburg to Lanzarote, where the Otto Mezzo is anchored. 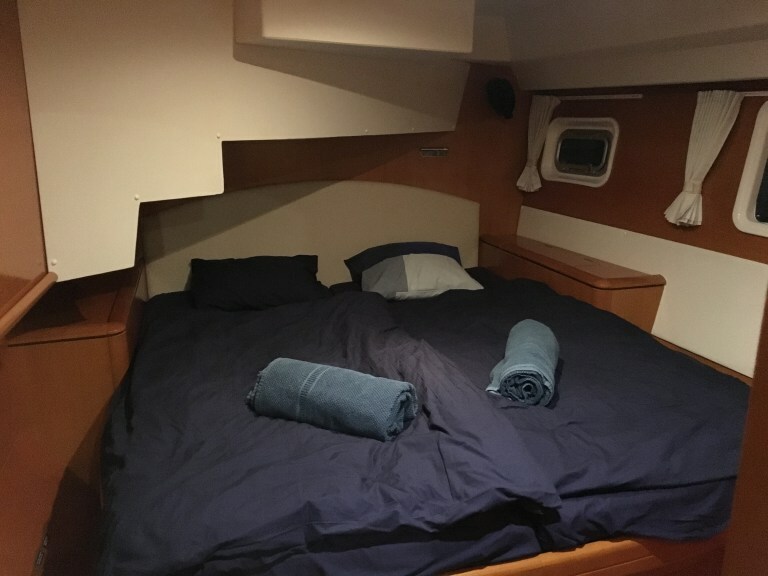 This luxury Lagoon 500 catamaran will be the floating home of Josi, Marco, and the other KiteWorldWide-guests for the next 6 days. 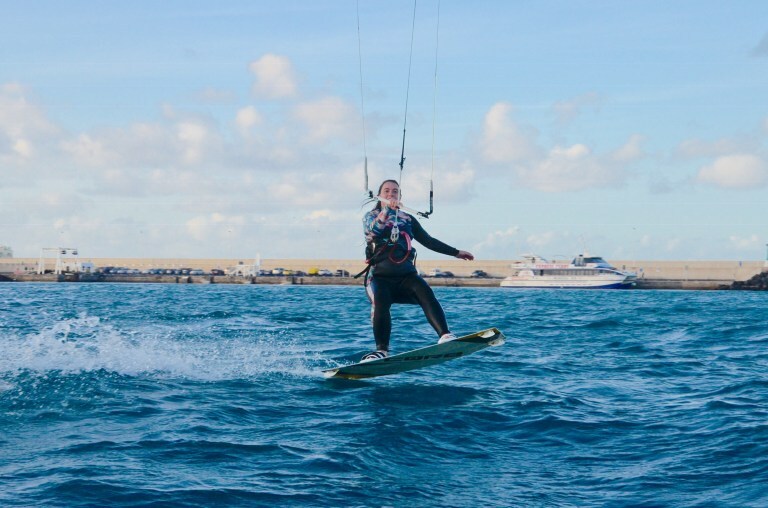 During the first evening on shore, all passengers are busy getting to know each other and shopping for the week at sea – because nine hungry kiters eat plenty. 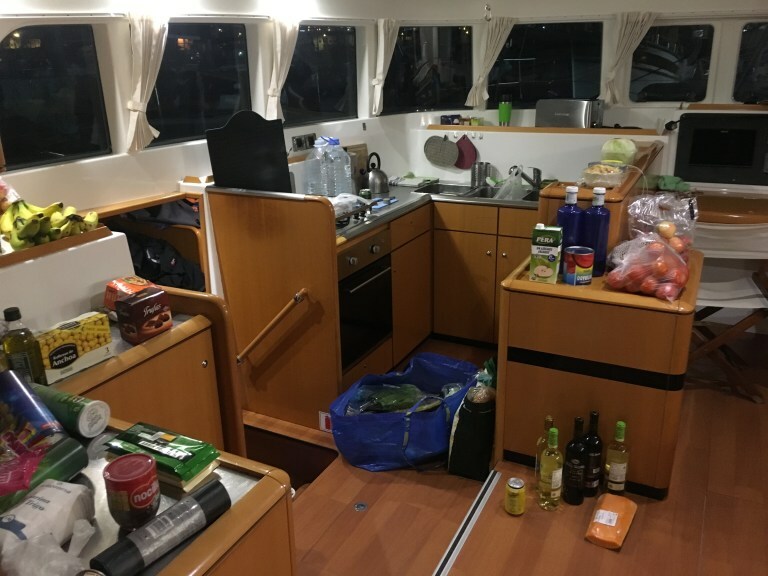 Under the guidance of skipper Tobi and his girlfriend Cati, the catamaran is loaded with food, water, diesel, kite equipment, and luggage. After a short safety briefing they all go to bed early, because the alarm clocks are set for 06:30 the next morning – you don’t want to sleep through such a holiday! 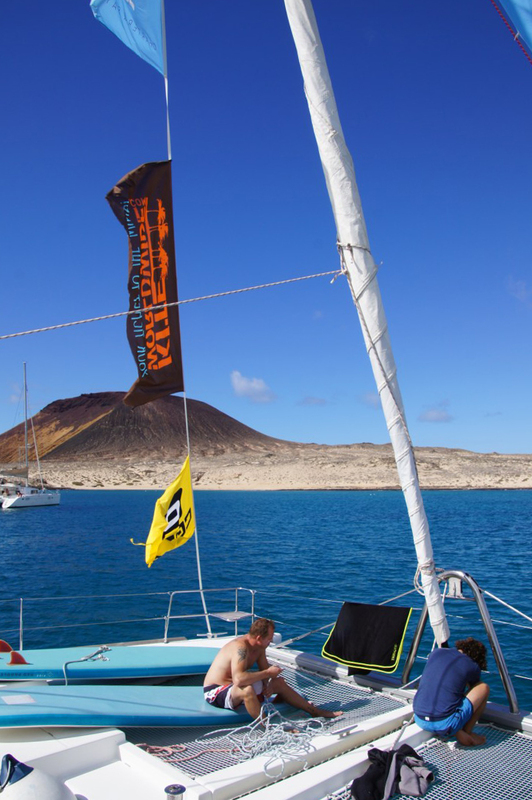 The destination of the first day at sea is La Graciosa, an island north of Lanzarote that can be reached by sea in about 5 hours. 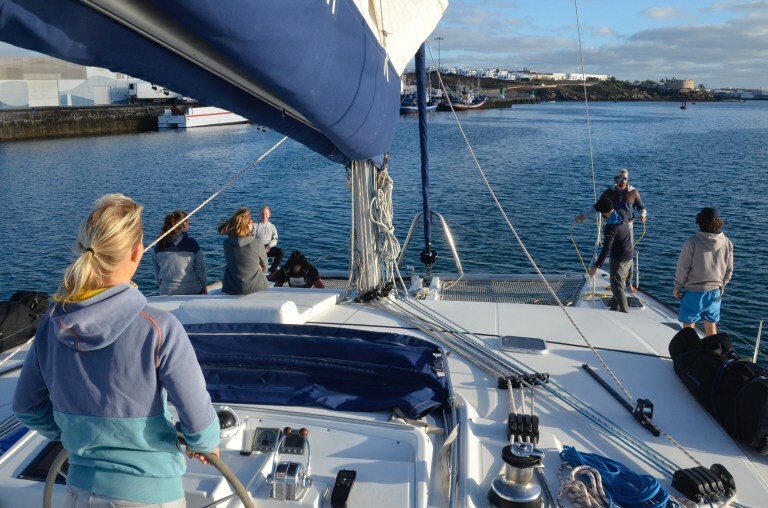 After an exciting trip full of “Ohhhhhh”s and “Look at that!”s, they reach La Graciosa and skipper Tobi drops the anchor in a sheltered bay. 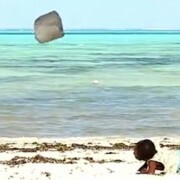 Afterward, they get in a small dinghy to the deserted beach to start the first kite session. 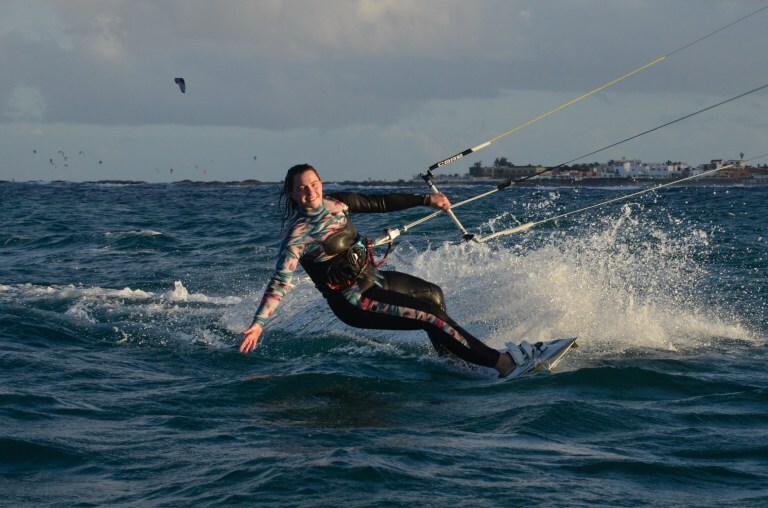 With great wind and the best mood, the joyful kiters get to know the Atlantic Ocean from the board and later, exhausted, fall into bed after dinner together. After their kitchen duties, Josi and Marco join their fellow travelers on the water the next morning. For a few hours, they enjoy the turquoise blue water while snorkeling, SUP riding, swimming or surfing before setting sail again for the next leg of their journey. 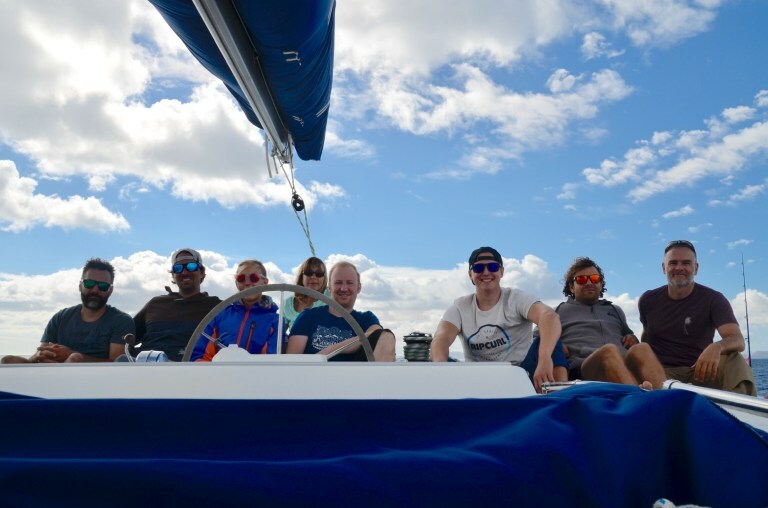 On the way to Fuerteventura, everyone on board gets to know each other better and better and the group chemistry becomes more and more familiar. 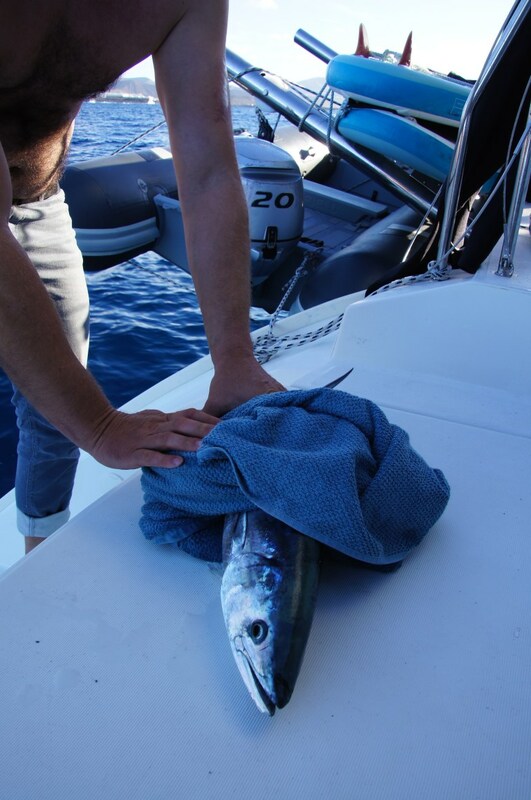 For dinner, there is even a self-caught tuna which is freshly prepared and enjoyed together on deck. And it tastes great, too! 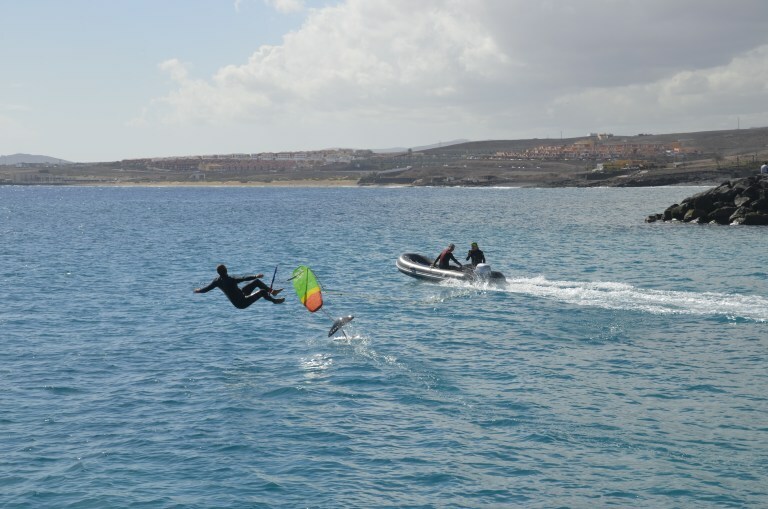 Off the coast of Fuerteventura, they all have the opportunity to kite a lot within sight of the harbor basin and, of course, they take full advantage of it. 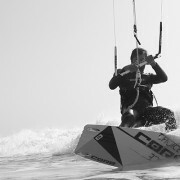 The next day, Marco tries to ride a downwinder next to the catamaran with some other guests. Unfortunately, nobody had considered that they had to pass between two islands, one of which blocked the wind. 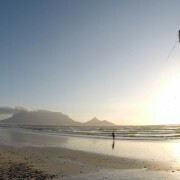 So in the slipstream of a mountain, the kite suddenly crashes and they have to be picked up again by the dinghy. When Tobi arrives and has beers in the dinghy, though, the whole situation turns into a funny and unique anecdote – so it wasn’t for nothing ;). 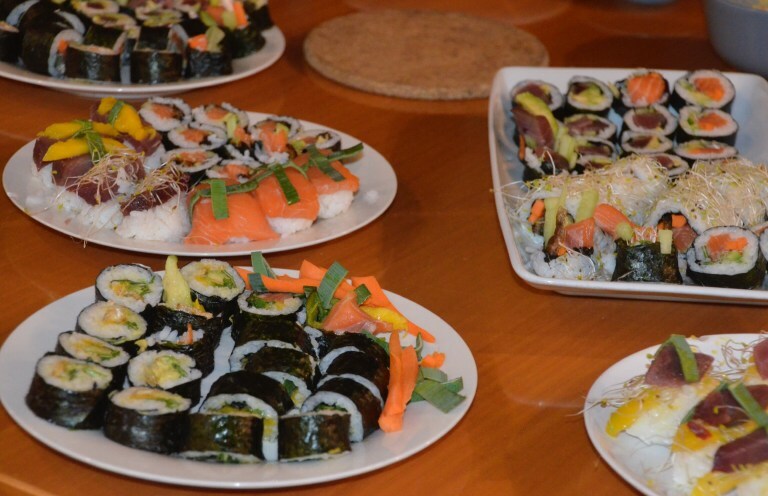 In the evening they have self-made sushi. A real feast and just the right thing right after an exhausting day. The next morning Marco gets creative: for wakeboarding, he pulls out the foil and adds a new note to the whole thing. 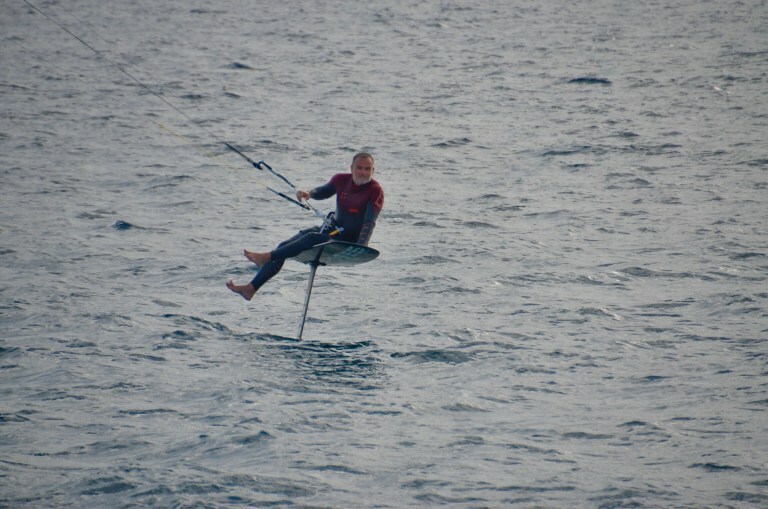 And once the foil is out, it doesn’t take long until the kite is added. 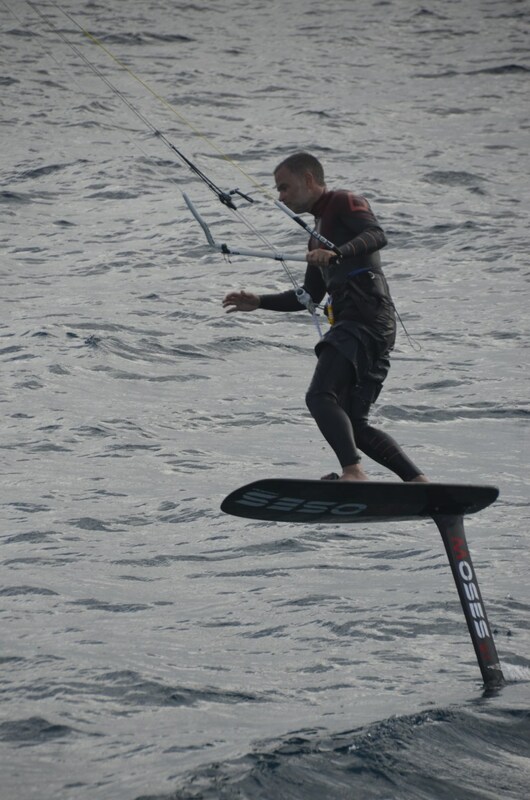 It’s just so much fun to float above the water like on a magic carpet. 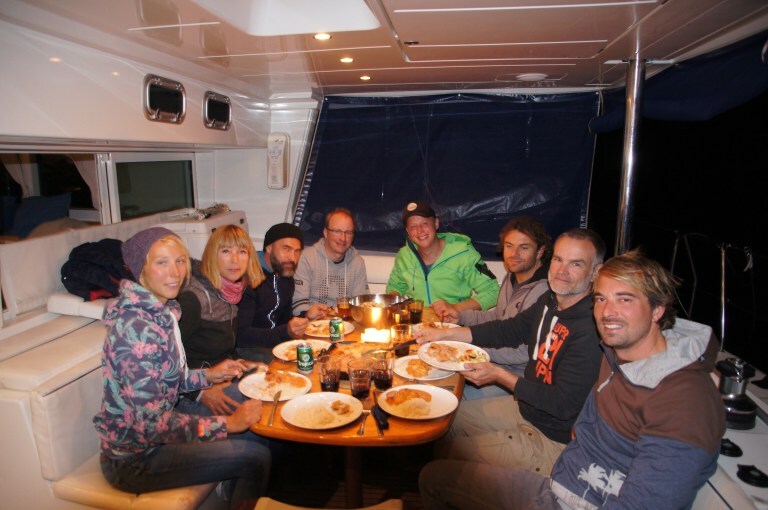 By the end of the sailing cruise, Josi and Marco agree: this was great! 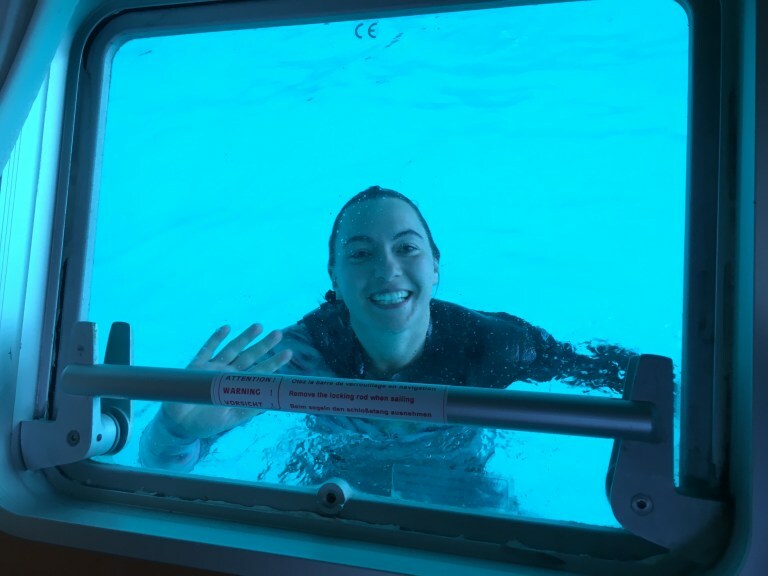 Living on the water for a week without solid ground under your feet is fundamentally different if you don’t happen to have grown up with water travel. But both of them enjoyed it very much. 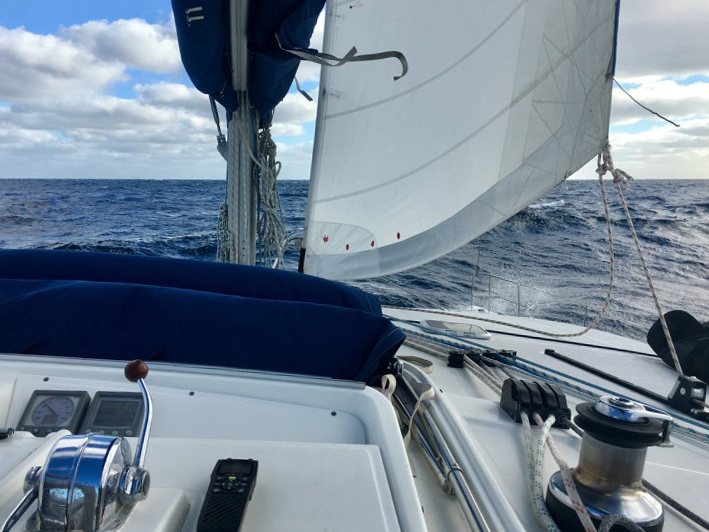 In addition, there was the stunning scenery of the volcanic Canary Islands, a wonderful crew and community and simply the liberating feeling of being bound to nothing and nobody. 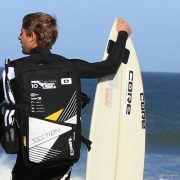 The vast ocean gives you this feeling like hardly anything else in the world. 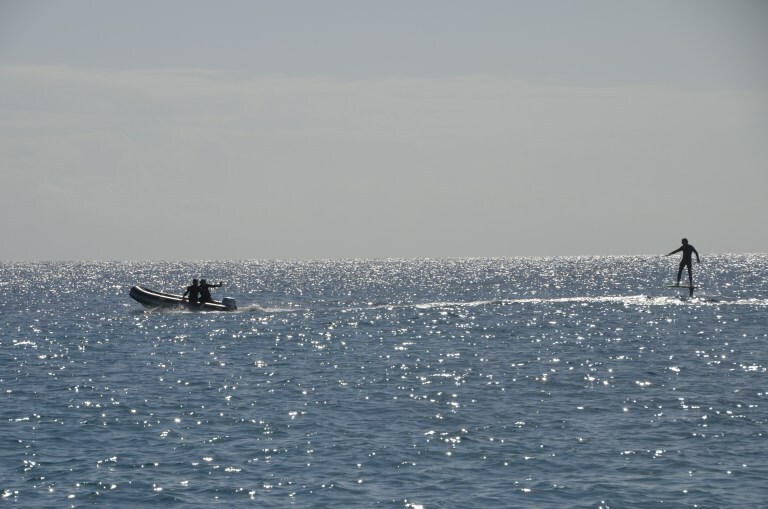 The catamaran itself was, of course, also an important aspect of the trip. Each couple had their own bunk and bathroom, which proved to be very important if they wanted some time to themselves. 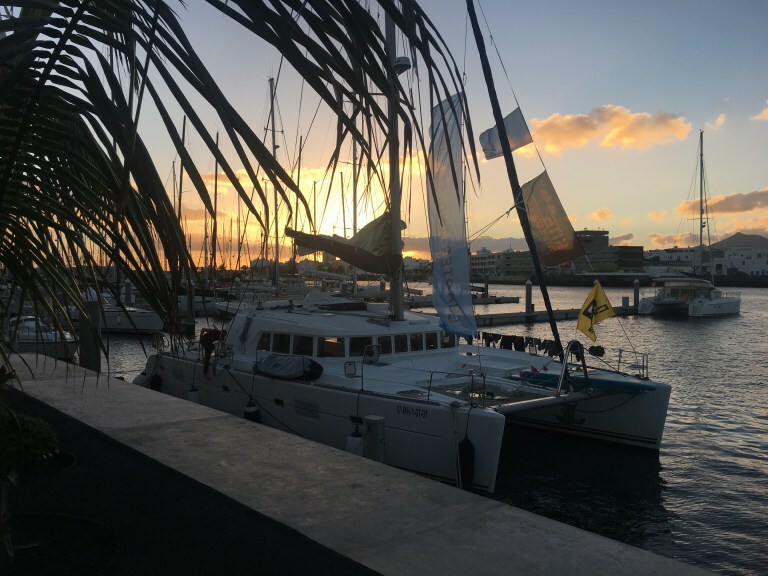 Moreover, the catamaran allows access to fantastic spots and bays that are either not accessible at all or only very difficult to reach by land. An additional bonus. 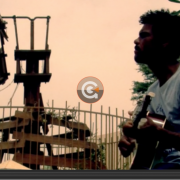 Logbook Entry #15 | Chin up! 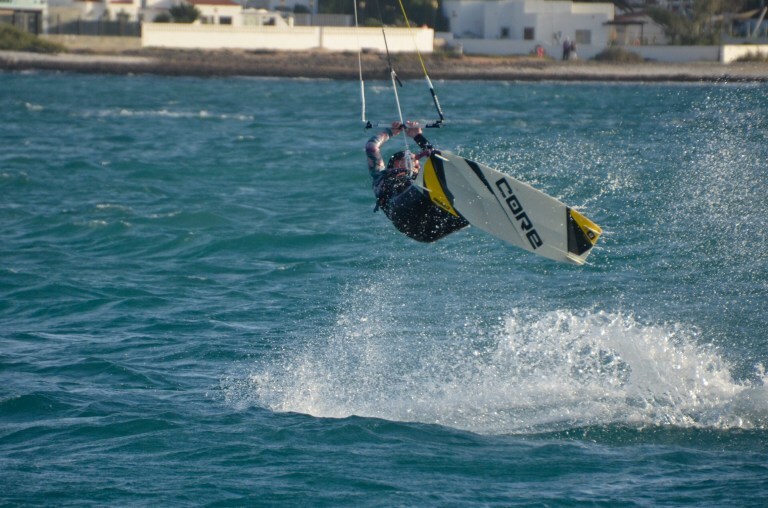 Kitesurfing on Zanzibar - A nice video for the season opening!